Ok, we’ve seen some pretty incredible advancements in robotics these last couple of years, but this tops the cake! The articulation from this arm is amazing. It looks like something straight out of the Cyberdyne lab in the Terminator series. The Bioloid Expert Kit Is Here! 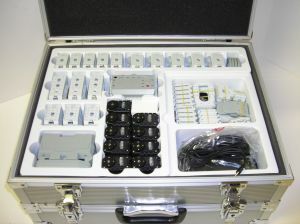 Compared to the Comprehensive kit, the Expert kit boasts a slew of additional hardware and software. 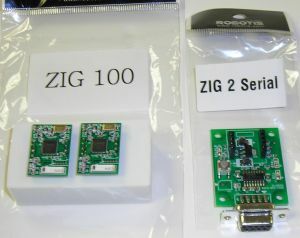 In addition to extra frames, actuators, sensors, and controllers; there are a number of new items that set this kit apart from all of the others. 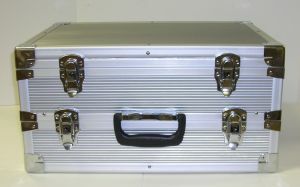 More programming tools have been added, as well. The manual is full of tutorials for programming your Bioloid using the Motion Editor, Behavior Editor, and C++. Now that I’ve got your attention, let’s take a look under the hood. 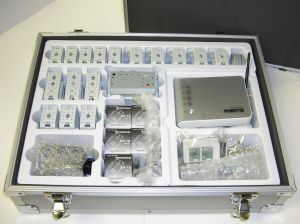 Open up the top compartment, and you’ll find a complete Comprehensive Kit. Eighteen AX-12+ actuators, one AX-S1 sensor module, CM-5 controller, and all the usual trimmings. Remove the top compartment. This action requires the unbuckling of four latches, so the initial un-boxing is very dramatic. The bottom compartment is where the real fun is. You’ll find three more actuators, two more sensor modules, and another complete Comprehensive frame set; but that’s not all! What you’re looking at here is the Robotis wireless camera set. 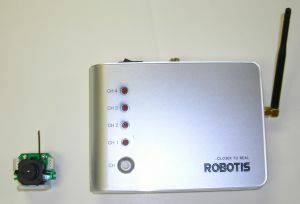 The receiver can connect to a computer via USB, plus it has an RCA composite video output so you can connect it directly to a TV. 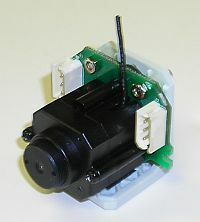 The camera itself is about 1 cubic inch, and it sports two AX-series Dynamixel connectors. The Expert Kit CD contains image processing tools, which you can integrate into your programs to add motion tracking, line following, path detection, and many other vision-related capabilities! 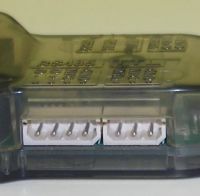 USB2Dynamixel adapter. I’m really excited about this particular gadget. It allows you to control a network of Dynamixels directly from your computer, bypassing the CM-5 controller entirely! Bonus! In addition to the standard Bioloid 3-pin TTL port, the USB2Dynamixel has a 4-pin RS485 port, which would theoretically allow you to control Robotis’ shigh-end DX series of Dynamixels. I say theoretically because I haven’t tried it yet, and there’s no info in the manual about controlling RS485 Dynamixels. 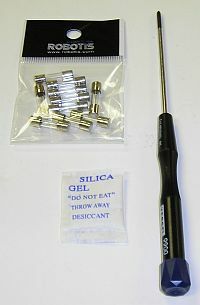 In addition to all of the previously mentioned goodies, you get a pile of fuses and a nice fine-tipped screwdriver.Also, our kit contained an impressive quantity of silica gel packets, ensuring that everything is free from moisture. I know it looks delicious, but the packaging clearly states that it should be thrown away rather than eaten. Well, thanks for reading the Bioloid Expert Kit Unboxing Extravaganza! Final word: This kit is just stacked full of awesome stuff, and I can’t wait to see all the different ideas that it will inevitably inspire. Yeah. JBOT and his creations put on a great show, busting out quirky rock and metal tunes with a robot-supremacy theme. 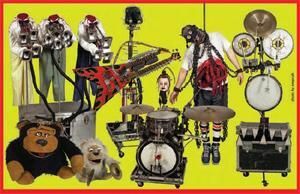 Since the Trossen Robotics team will be out at Maker Faire this weekend, we’re going to miss their gig in Chicago. If you live in or around Chicago, C!BR is playing on Saturday May 19 at The Note. Go there. Seriously. You will be entertained and impressed. I should probably note here that this is not a family show. C!BR will terrify small children and offend those with delicate sensibilities. Thankfully, I don’t think many people from either of those groups read this blog. So check out the Captured! By Robots web site, head out to The Note this Saturday, and don’t forget to tip your bartender.